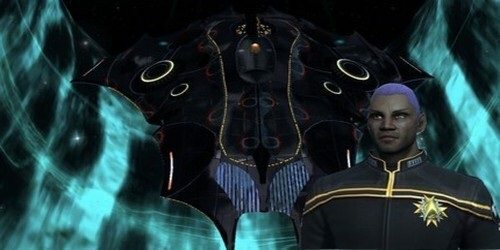 Reason for leaving former STO fleets (if applicable): 254th had lost the majority of active players due to other priorities, lack of interest in game or had given up on STO. I had decided to move on to a more active Fleet that I could participate with. I have partaken in events in the past as well as lead a number of Fleet Events for 12th that I organized. Im always looking for ways to participate within the Fleet as well as offer advice and assistance. Last edited by Lewis@Allegiance86 on Fri August 3rd, 2012 11:39 pm, edited 1 time in total. Location: In the dungeon "helping" goldy! Fixed it.....I had a feeling I had slipped up somehow. Lol. Did I get overlooked ?? I'm not home so can't process it for you, if it isn't done by tomorrow I'll do it. Hey bud, I checked the forum yesterday and I must admit, did not see it, there were alot of apps and they all looked done.. My apologies but looks like Darren got ya so all is good.. Welcome back.. I assign you as an Ensign to Delta Squad (Raptors) under Captain Xar. Tried to send you an in-game invite Lewis, but I got the error message "player not found." Do you still have a character with name "Lewis@Allegiance86"? If not, what is your main alt now? Welcome to Tactical & the Fleet! !